I used to have quite bad skin when I was a teenager so I'm quite clued up on all the spot zapping/miracle skin clearing products which are aimed at teenagers and young adults. However, nine times out of ten, they don't work at all and are a complete waste of time. 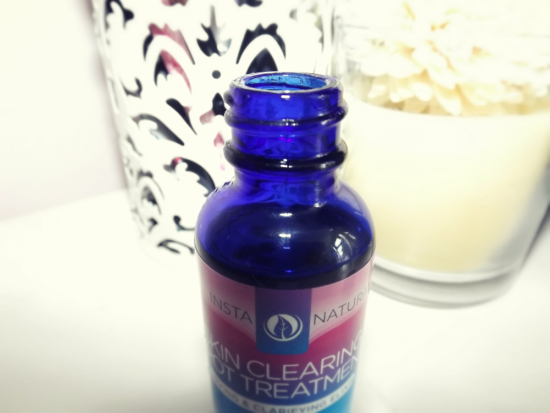 I spent so much money working my way through the shelves of spot treatments, each promising to give me clearer skin but none of them ever did. I got so fed up that I ended up going to the doctors and trying out several other methods and the one skin treatment which did give me great results was a cream containing Salicylic Acid. It made my skin incredibly dry and almost turned my eyebrows orange but that was a small price to pay! I stopped using the cream about five years ago as my skin became better but once a month, or when the seasons change, my skin becomes bad for a couple of days. 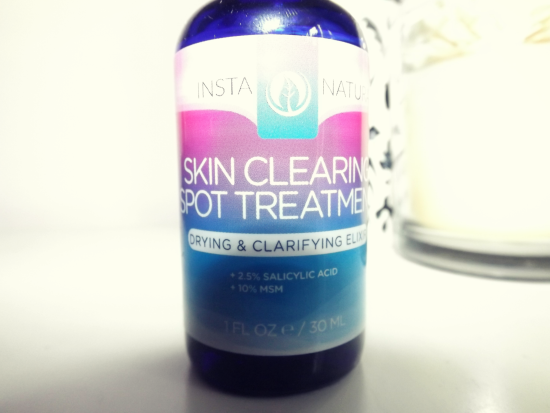 As soon as I got the skin clearing spot treatment from InstaNatural I was keen to give it a go straight away as it contained many of the same ingredients as my old skin cream but as my skin was looking okay I waited for a few days until I noticed spots (and sure enough they appeared!). I really like how it's a liquid instead of a cream as it's a lot less drying and sinks into the skin a lot quicker. I used a cotton pad which I then applied directly onto my spots. The smell is very strong so I would recommend that you don't put it anywhere near your eyes to avoid pain or watering! The bottle is a generous size compared to other spot treatment liquids like tea tree oil and I've been using it for quite a few days now and have used up barely anything. 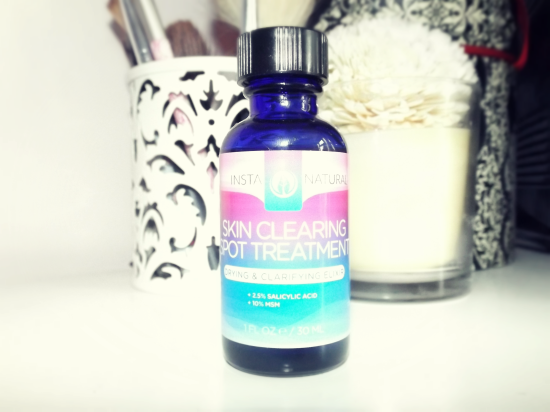 Overall I'm incredibly impressed with this product and I can see that it will be my go to emergency spot treatment. I only wish that it had been in my life ten years ago! It sounds like great product! Perfect review!! nope never tried anything. Thankfully i dont have many problems with my skin, glad it works on yours though! I too wish that I would have known about skincare now back in the days, it would have saved me so much trouble! Good for you. Natural products are indeed the best. I wouldn't mind using it right now! Great review Rosanna! Hello! I would like trying this product now, although I always had good skin, thankfully. But I like to test new things and I have never seen this product before! In fact, I have a friend who has some skin issues and I always tell her when I see novelties and will forward your post to her now! Very helpful, well done! I love natural products, this sounds truly interesting!!! I never heard of this product before but sounds like something I would try! Anyway, I know it's pretty hard to find good products for skin problems, so this post is very useful! 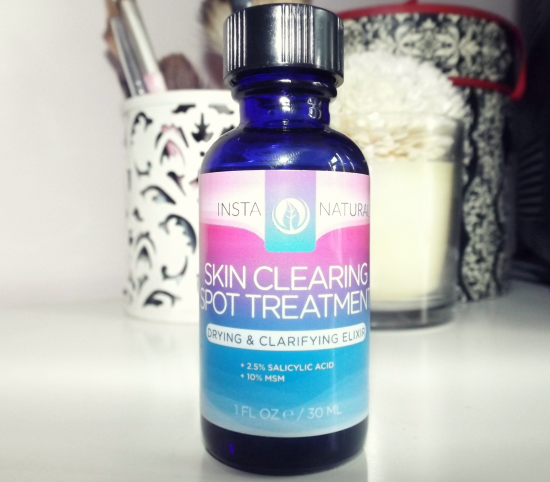 I tried some products from Instanatural too some time ago and I was also very happy with them. Glad you like this product! I am convinced! This does look like a good product! I don't know this brand,great review!!! I'm glad you like this treatment. I also wished I had known about it years ago.Have a great weekend! nice review dear. I am suffering from spot problem going to try this product. I need this in my life. I'm getting spots now. Where can you buy one? Very interesting! It sort of reminds me of a chemical peel or something. Although my younger sister struggles with classic teenage skin... I should definitely see if I can track this stuff down for her. what a great news for all who are in need for something like this.